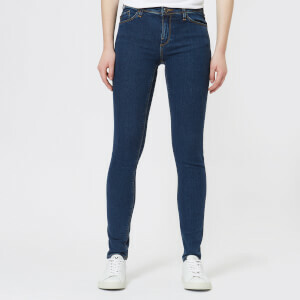 Women's skinny jeans from J Brand. 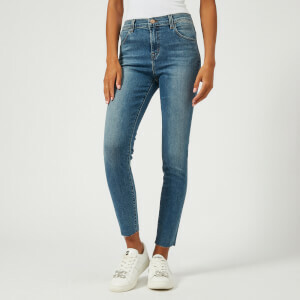 Cut from comfort stretch cotton with a classic mid-rise fit, the '811' skinny jeans have been accentuated with hand-finished whiskering at the front pockets and feature a slim leg with 11-inch opening. Constructed with a classic five pocket design, the blue jeans are finished with contrast topstitching, belt loops and a zip fly. Branded button fastening. V-shaped yoke. Model is 180cm/5'11" and wears a size W26/L32.